A Diamond Select Release! Designed and Sculpted by Art Asylum! It's the most spine-tingling Marvel Minimates set ever! Supernatural Marvel characters Dr. 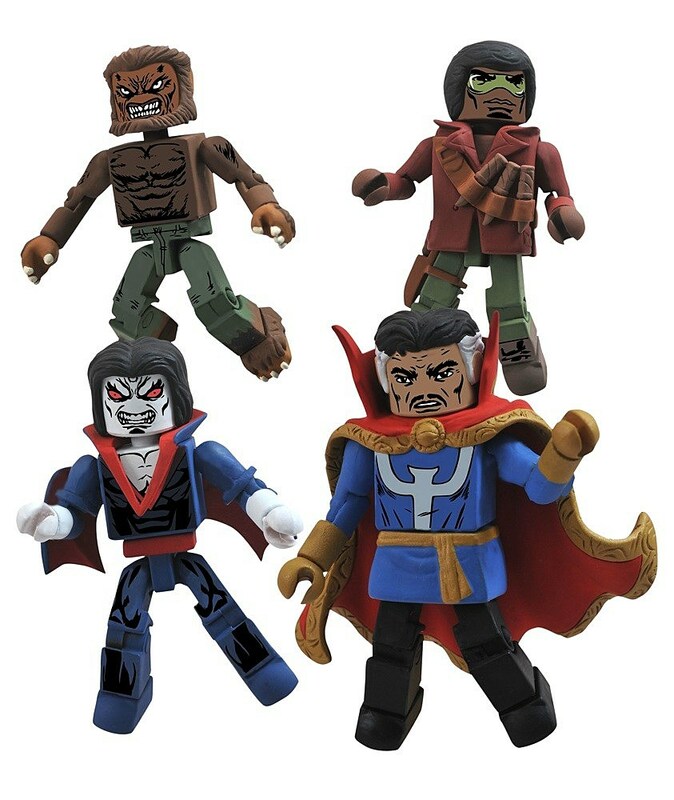 Strange, First Appearance Blade, Werewolf by Night and Morbius the Living Vampire have banded together to take on the strange and unusual corners of the Marvel Universe. Each Minimate stands 2 inches tall with 14 points of articulation and a variety of interchangeable parts and accessories.